The fifth round of the Continental Tire Sports Car Challenge was held at Mid-Ohio Sports Car Course. I’d been looking forward to this race for quite some time, as this is my home track and a track that Honda sponsors, making it a doubly special weekend. I grew up going to races. I even attended my first race when I was only 8 days old. From a very young age, I would go to Mid-Ohio to watch my dad race, whether it was in pro, vintage, or club racing. A lot of memories come from this track. Then when I started racing cars at 16, I began racing at least twice a year at the track racing against my dad. Now the tables have turned, as I race and my dad cheers me on. I also am a driving instructor at The Mid-Ohio School working with the Honda Teen Defensive Driving and Acura High Performance programs. So I was pretty familiar with the track heading in to the weekend, hoping it would give me an advantage. The Conti series is extremely competitive and any advantage you can get, you have to take. Going into the race, we were 8th in the championship, only 17 points out of the lead. 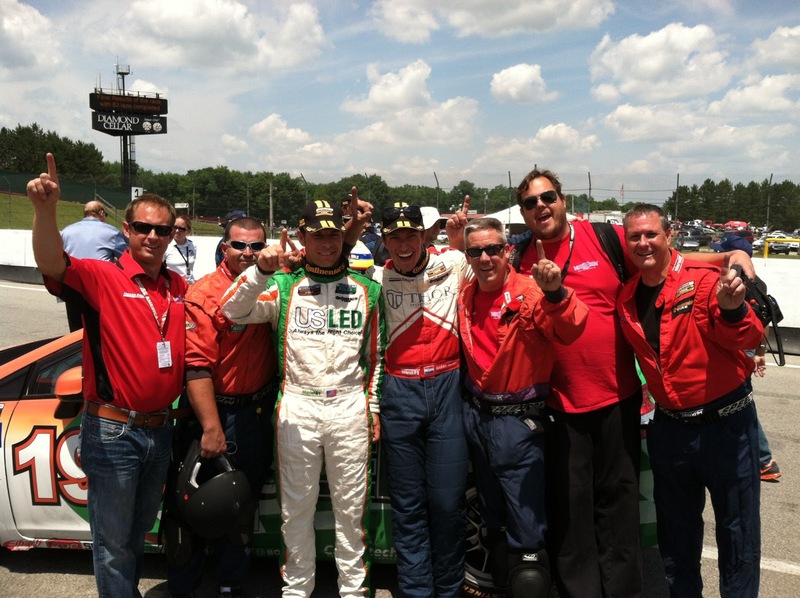 I had confidence in the team and in our Honda Civic Si. The weather was great for the weekend, which actually allowed us to have our first qualifying session in three races. For me, this was exciting because it’s a time to shine and gain “easy” track position on our competitors. In qualifying, we just missed the setup a bit and went out with too high of pressures for the tires, putting us 8th on the grid. However, I knew we had a good car and a shot at the win. The car was fantastic in the race - the best it had been all weekend. Then, about an hour in we blew a head gasket. Our race ended much sooner than we had hoped and we walked away without many points towards the championship. So much for a home track advantage! In the grand scheme of things, it was a great weekend for Honda. It was a Honda podium, with Honda Civics 1-2-3. In fact, our team car, the #196 driven by Andrew Novich and Tom Dyer won the race! It was fun to stick around and cheer them on and see Honda do so well at a very appropriate venue. After Mid-Ohio Honda gained valuable points in the Manufacturer’s championship as well, closing the gap to BMW and Mazda. Also, a Honda Civic is now leading the Driver Points championship, with Ryan Eversley and Kyle Gimple taking over the lead in the #75 car. At Mid-Ohio we were still in the older Civic, as our new 2013 Civic hadn’t been tested yet and wasn’t quite ready to race. Of course, my new car was at the track though just teasing me. It looks great. We’re getting it ready and are testing it before its Watkins Glen debut. I’m ready for the switch and very excited to be driving the new car at the next race! 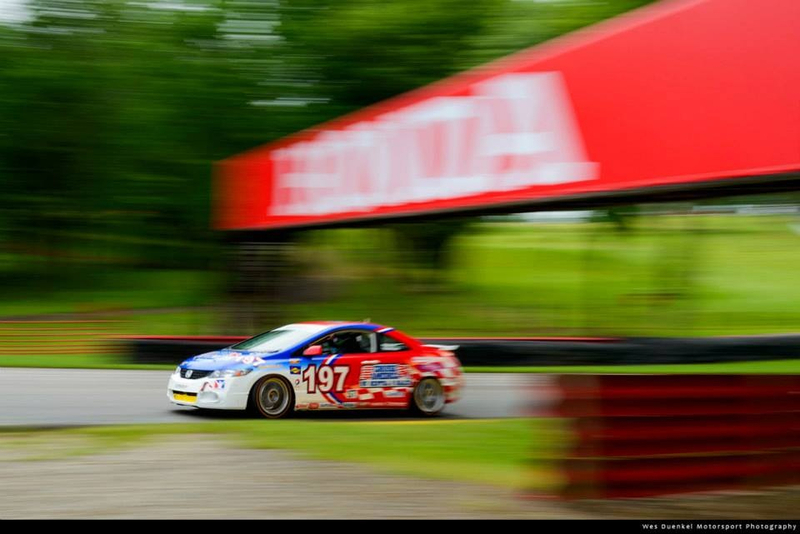 Our next race is at Watkins Glen, June 29th. The 2013 Formula F season continued to build momentum through May and June, highlighted by a “triple-header” Pacific F1600 Championship Series race weekend at Auto Club Speedway near Los Angeles; preparations for the annual June Sprints SCCA Majors weekend at Road America in Wisconsin; and a wet weekend of close racing at Lime Rock Park in Connecticut for the F1600 Formula F Championship Series. In California, the Pacific F1600 Championship continued with a triple-header weekend at Auto Club Speedway in Fontana, California. Colton Herta was the big winner, with the son of former IndyCar and ALMS driver Bryan Herta taking the first two of the three rounds to extend his lead in the championship. But Joey Bickers posted his second Formula F win of the season in the third race of the weekend to hang tough in the season-long championship battle, now second with 214 points to 245 for Herta. Herta and Bickers both drive Mygale Hondas for PR1 Motorsports, but continue to race each other hard and close as each seeks his first auto racing championship. 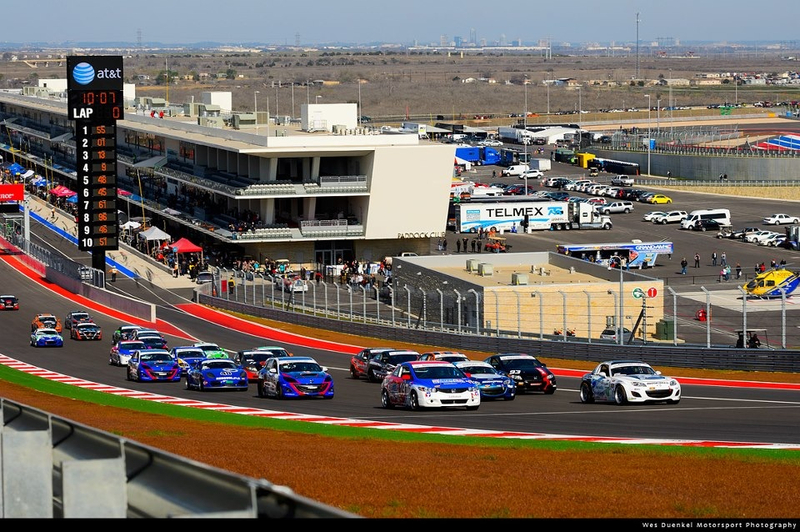 They also face strong competition from the Lynx Racing Spectrum Hondas of Alex Keys and Andrew Evans and all four “young guns” raced at the front throughout the Auto Club weekend. Alex Kirby and his Fast Forward Components prepped Piper DF5 also made their first appearance at Fontana, and expect to compete in the remaining championship events. The Pacific Formula F Super Series next returns to Buttonwillow Raceway for a July 27-28 doubleheader weekend. More information on the series is available at www.pacificF2000.com. 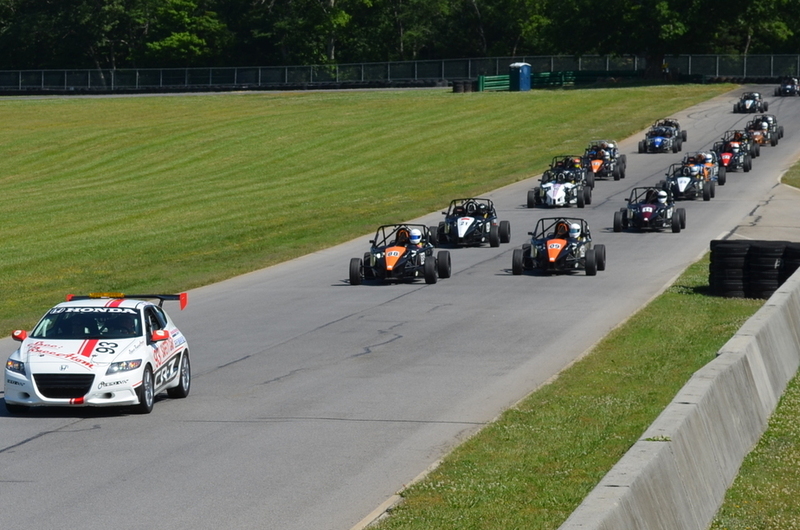 New for 2013, the U.S. Majors Tour provides a means for the best SCCA club racers from across the country to compete at classic race tracks including Sebring, Watkins Glen, the Circuit of the Americas and the Mid-Ohio Sports Car Course. Divided into four geographic conferences – East, North, Mid-States and West – the Majors have gotten off to an encouraging start, with large fields and close racing throughout the 11 events held so far. Lewis Cooper III currently leads the Eastern Conference with the highest Formula F points total nationwide, scoring 111 points to-date with a near-perfect record of five race wins and a second out of six starts. 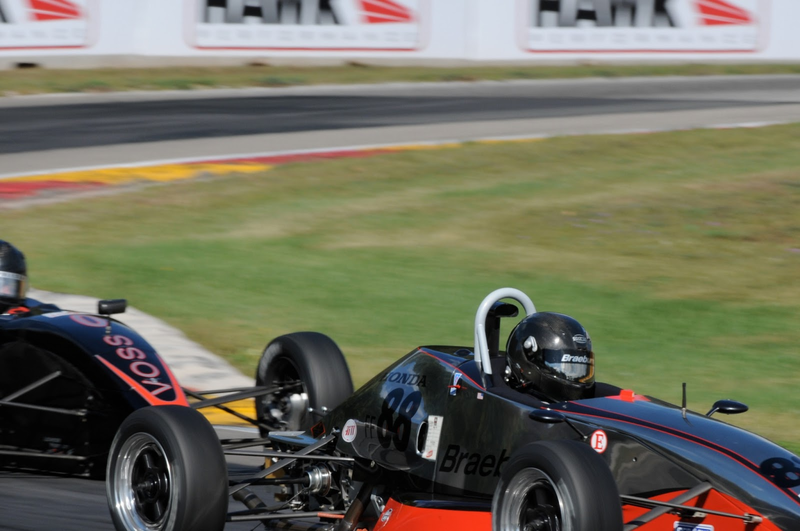 A traditional highlight of the summer racing season, the June Sprints at the historic Road America circuit in Wisconsin is now part of the Majors program. 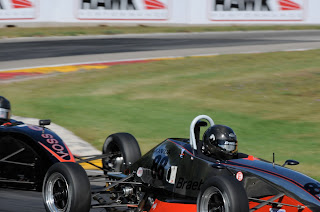 More than 20 Formula Fs are expected at the 2013 Sprints, including reigning national champion Tim Kautz in his Piper-Honda, Majors race-winner Steve Bamford in a Mygale-Honda, and the Van Diemen-Honda of local favorite Jeff Bartz. Additional information on the June Sprints and SCCA Majors Tour can be found at www.scca.com. 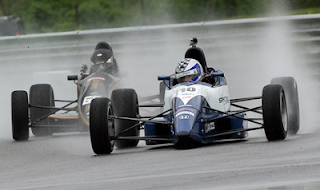 Back in the eastern U.S., after six rounds of the 12-race F1600 Formula F Championship Series, Cape Motorsports’ Jake Eidson has vaulted to the top of the driver’s championship with three consecutive victories and 249 points, including the second race at Road Atlanta and a pair of wet-weather wins at Lime Rock Park May 24-25 in his Cape Motorsports Spectrum Honda. 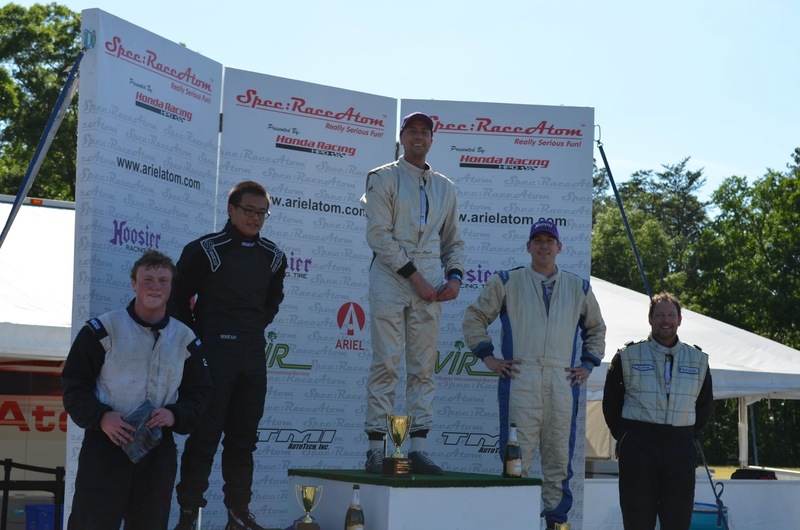 Aaron Telitz has combined one win at Road Atlanta with a series of podium results to run second in the championship in his Wisko Racing Mygale Honda, with 234 points. Also in a Mygale Honda, Adrian Starrantino swept the opening weekend at Virginia International Raceway, and lies third in the championship with 230 points. Next on the schedule for the Eastern U.S.-based Formula F series is the first of two double-header weekends at the Mid-Ohio Sports Car Course, July 26-28. 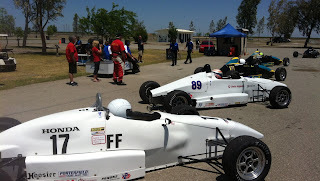 Additional information on the F1600 Formula F Championship Series can be found at http://www.f1600series.com/. Produced by Mathisen Media with the support of Honda Performance Development, the first in a series of webcasts has debuted on Honda Racing/HPD TV – YouTube, and can be found at http://www.youtube.com/watch?v=zQ_bg_Xm31Q&feature=share&list=UUdrPIcwSMJ0SKCmsnCEO1jQ. The video series provides American Formula F race highlights, coupled with testimonials from Honda-powered IndyCar drivers touting the virtues of Formula F competition and the lessons learned from Formula F racing earlier in their careers. The first “F1600 In Focus” webcast featured race in-car footage from the opening F1600 Formula F Championship Series weekend at Virginia International Raceway, Pacific Formula F1600 Series action from Thunderhill Raceway, SCCA Majors competition from Circuit of the Americas; and, an interview with Indy 500 champion Scott Dixon, who recalled his time winning the FF championship in his native New Zealand. 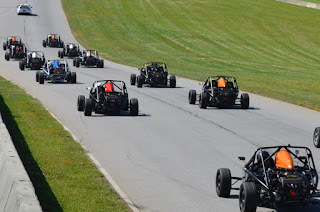 A large, 36-car Formula F field arrived in Montreal for the June 7-9 Canadian Grand Prix weekend, the premier event of the Quebec-based Formula Tour 1600 Championship Series. 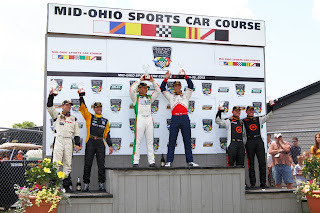 Twenty-one-year-old Thomas McGregor swept both races in his Exclusive Autosport Spectrum Honda, with his 17-year-old American teammate, Jack Mitchell, finishing second each day. 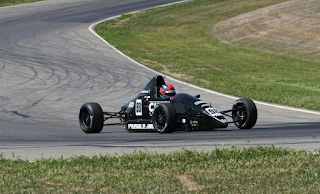 In the Ontario, Canada-based Toyo Tires F1600 Championship Series, Zach Robichon has coupled podium finishes at the season-opening races at Canadian Tire Motorsports Park with a sweep of the DAC Trillium Trophy races at Shannonville Motorsports Park to take a commanding championship lead in his BRG Grote Racing Piper Honda. After four rounds, Robinson holds a large, 356-240 points lead over his BGR Grote teammate, Jason Bedasse. Veteran Shane Jantzi lies third, with 236 points. News Faces – New Cars – New Challengers. 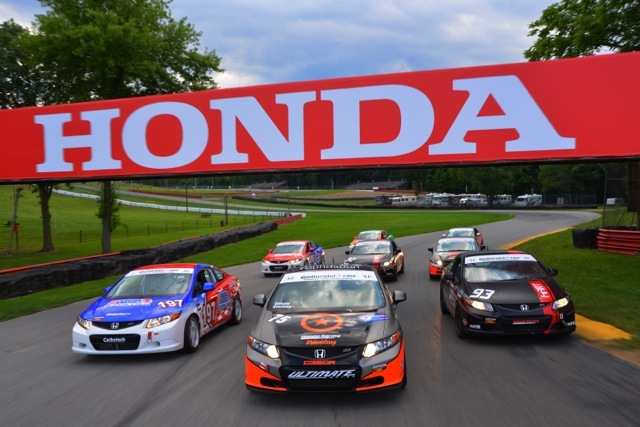 Spec:RaceAtom Series Presented by Honda Racing/HPD Kicks Off Its Third Season At VIR. 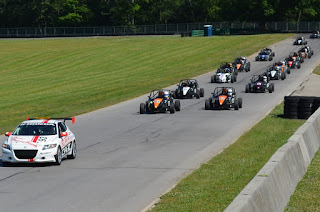 Clear skies, warm temperatures, and an off-seasons worth of anticipation greeted the drivers for race #1 of the Spec:RaceAtom Series at VIR presented by Honda Racing/HPD. 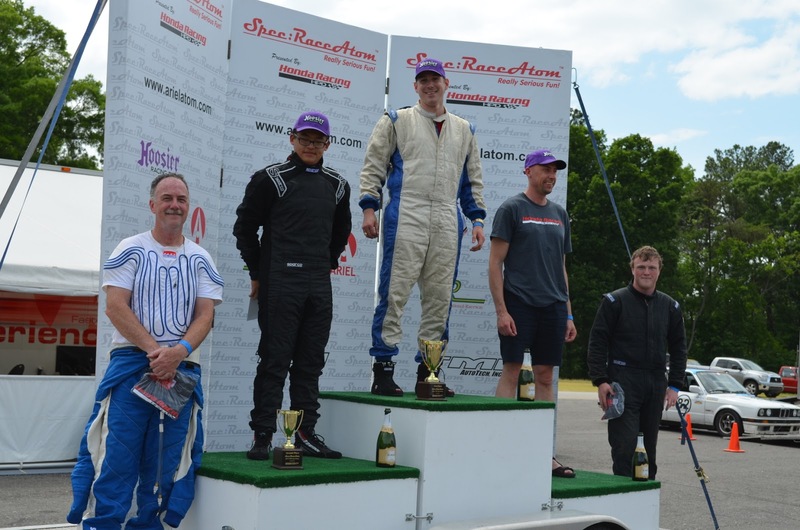 Heading into the third season of SRA competition at VIR brought a mixture of old faces, and a few new drivers looking to shake up the finishing order. The 1.65 mile South course was the configuration used this weekend; a twisty, and undulating track that is very well suited to the nimble SRA racecar. Two practice sessions during the morning gave drivers a chance to get reacquainted with both car and track. The South course is only used by the SRA series for two races per year so it is important to maximize track time and learn the course. The top 3 quickest drivers after practice were Tyson Bytzek, Christian Shield, and David Chen. At 1:50pm the track went green for an entertaining qualifying 20 minute qualifying session. During the session, four separate drivers took turns posting the fast time with Bruce Duff eventually settling at the top of the time sheet. 19 SRA cars lined up and took the green flag just after 4:00pm to kick off the season. Close racing action took place throughout the field with 16 laps being completed caution free. Pole Sitter Bruce Duff worked hard to stay out front but was eventually reeled in on lap 5 by Tyson Bytzek who took the lead and held it to the end. The top 5 were Tyson Bytzek, David Chen, Christian Shield, Bruce Duff, and James Williams. David Chen is credited with the fastest race lap. Changing weather conditions had drivers working on their cars throughout practice to adapt to the cloudy skies. The threat of rain had many people guessing what strategies may play out during the day. Qualifying strategy appeared to be to get out early in the session and avoid traffic on the shorter South Course. 17 year old David Chen was able to take advantage of clear track early in the session and place his #21 SRA car at the front of the field. Tyson Bytzek, Christian Shield, James Williams, and Bruce Duff rounded out the top five. Race #2 went green at 2:24pm with David Chen leading the field into turn one. Christian Shield was quickly able to reel in the leader using the draft up the straight. Chen and Shields would trade the lead numerous times during the race. Lap 6 would see a full course caution situation as two drivers in the middle of the field battled for the same piece of pavement. 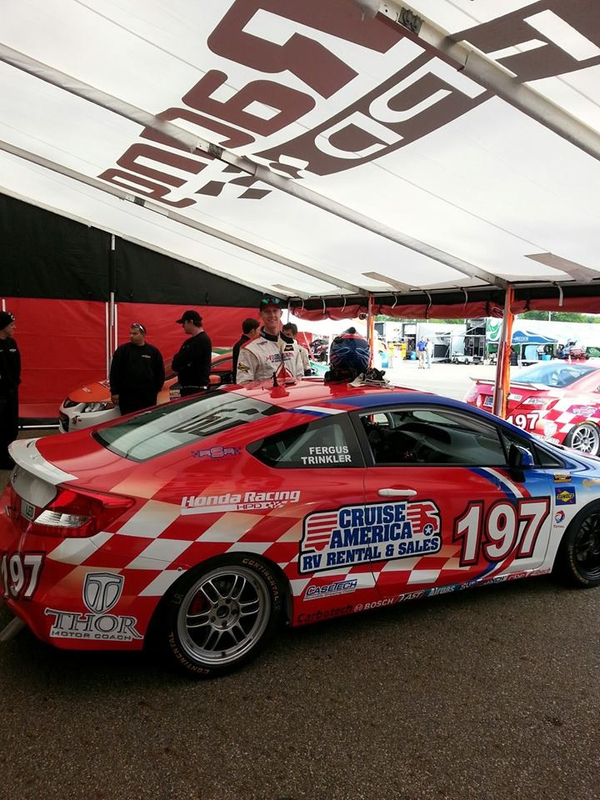 The cars were bunched up behind the Honda Racing/HPD CRZ pace car for four laps while the track was cleared. Racing resumed on lap 11 with Christian Shield getting an excellent start that put him in the lead. After 16 laps the checkered flag was shown to Christian Shield followed closely by David Chen, Tyson Bytzek, James Williams, and John Williams. The next race in the series takes place on the Full Course at VIR on July 6th & 7th.